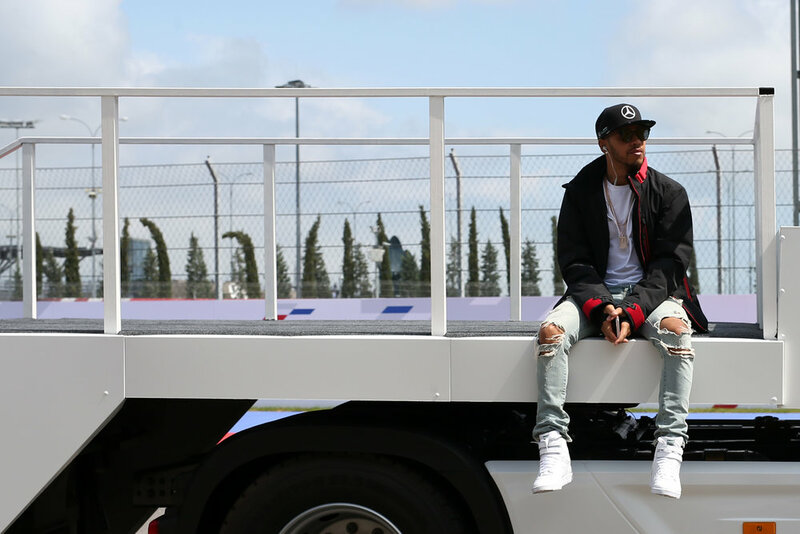 Lewis Hamilton has not had the best of luck thus far in 2016. So what might have happened if both Mercedes cars had excellent reliability throughout the season? We looked at each race weekend, and where Hamilton or Rosberg had technical issues, we’ve taken an educated guess at what the result would have been should those issues have not arisen. Only reliability problems have been considered – results affected by crashes or other incidents have been ignored, because science. Hamilton had a bad start from pole and could only get back to second. Rosberg won from second on the grid. No reliability issues, therefore no change to the result. Rosberg had a good start, but Hamilton got hit by Bottas at the first corner and dropped back, climbed back to third. This was undoubtedly unlucky for Lewis, but nothing to do with reliability. Hamilton had tech problems in practice and didn’t taking part in qualify. He started at the back of the grid, but recovered to seventh. Rosberg won. Reliability issues for Lewis meant he was at a huge disadvantage in this race. But he has had the most wins around this track, so it’s not unreasonable to suggest he could have won if his car was working. Rosberg would likely have been second. Hamilton had engine issues in Q3 again, which meant he started 10th and recovered to second. Lewis was fastest in P2 and P3, and Q1, while Rosberg was fastest in P1 and Q2. Let’s give Hamilton the benefit of the doubt and say that he would have taken pole and won the race, although it’s worth noting that his poor starts mean it could easily have been another Rosberg win anyway. Both Mercs took each other out, which was nothing to do with reliability. No points to either. Hamilton had engine issues in qualifying but still won the race and was faster than Rosberg all weekend. Rosberg was rubbish in the race and finished seventh, but that wasn’t to do with reliability. Hamilton won and was fast all weekend. Rosberg got squeezed at the start and dropped back, finishing fifth after suffering from a puncture and spinning. Unfortunate, but not reliability related. Hamilton crashed all over the place in quali and started in 10th, with Rosberg on pole. Nico went on to win the race. Lewis had engine issues and, due to the radio rules, the team couldn’t tell him how to fix them. Quali aside, Hamilton was quick all weekend, so let’s be generous and say he could have recovered to second, rather than fifth, if the car had been good. Hamilton won, Rosberg was fourth after a silly overtaking attempt on Lewis towards the end. No reliability issues, although Rosberg had changed his gearbox after crashing in practice. Hamilton won from pole. Rosberg had a water leak in P2, which meant no running, but didn’t look like being fastest anyway. It’s hard to see a different result than Lewis first, Rosberg third. UPDATE: As someone on Twitter pointed out, Rosberg was demoted to third after a penalty for breaking radio rules. But that exchange only happened because he was having gearbox issues. Had those not happened, he wouldn't have had a penalty, so should probably finished second. We've updated the possible points accordingly. A straight fight with no reliability problems. Hamilton won, Rosberg was second. Hamilton took all his engine penalties and started at the back of the grid, yet still finished third. If he hadn’t had engine penalties and started up the front, his super quick pace around here should have given him the win. Although he was super quick, a lousy start cost Hamilton the race. He was second while Rosberg took the win, but it was nothing to do with reliability. Hamilton had loads of reliability issues in practice, which limited his setup time. Rosberg took the win and was superb all weekend. With smooth practice, Lewis could conceivably have gotten second instead of third, but it’s difficult to see anything other than a Nico win. An engine failure cost Hamilton an easy win. Rosberg was fourth after being hit by Vettel at the start, which is an unfortunate incident but not reliability related. You’d have to say that Lewis lost a certain victory here. Hamilton was out of sorts and had a bad start, while Rosberg won. No reliability woes. Could Hamilton have been more on form if he was way ahead in the points? Maybe, but that’s stretching the concept a bit. While Lewis has been guilty of underperforming at certain races, it seems pretty clear that his car's reliabilty has dramatically affected his chances of winning the 2016 title. Heading to Austin, Hamilton has to aim for wins in the remaining four races, and hope that Rosberg has issues of his own if he has any chance of retaining his crown. This story was updated after publication, reflecting the likelihood that Rosberg would have probably finished second at Silverstone if he had not had gearbox issues that resulted in a penalty for an illegal radio coversation. It means Rosberg's possible points score is now three higher than originally.